Training and development is an essential function of most organization nowadays. Strategically investing in employees' training and development, nurturing their talents, and building their skill sets helps organizations achieve their desired results, enhances their culture, and assists leaders in better managing talent. Most organizations can't compete effectively without providing training and development. Training and development functions need to have goals, and ideally, a strategy. Many training functions lack strategic direction, which limits their effectiveness and does not support the business as much as it could. What does it set out to achieve? How will it support the business and its strategy? How will it integrate and align with other HR functions? What key outcomes are expected? Typically, a training and development function aims to promote individual employee development by offering a variety of programs to foster a culture that supports learning and growth of skills and abilities in order to enhance the organization’s effectiveness. When establishing a training and development budget, seek benchmark information regarding how much other organizations budget for training. Also, consider the types of offerings you plan to deliver, how many offerings you are going to provide, and expected participation/number of people trained. All of this affects your training budget. Most training budgets range from 1-4% of payroll, according to local research. Smaller organizations are less likely to have a training budget than larger organizations and the majority of larger organizations have a budget between 1-2% of payroll. Training budgets of 5% or more are not common, but tend to be more common among employers of choice. According to the American Society for Training & Development (ASTD)'s State of the Industry Report, the average direct expenditure per employee on training and development is $1,182. Small and mid-sized organizations tend to spend more per employee on training and development ($1,605) than larger organizations with 500 or more employees ($1,102). Of learning expenditures, on average, 56% was spent internally, and the remainder was spent on tuition reimbursement (14%) and external services (30%). Staffing a training and development function appropriately is also crucial. The function may be staffed with simply one individual, or a team of employees. When determining staffing levels, it's important to consider your budget, how many employees you will service, whether training will be conducted by internal staff, and the types of activities or training that will be carried out in the department. These factors tend to affect the budget. Your organization must understand the training needs and interests across your entire workforce and among individuals and teams. This involves evaluating needs, assessing gaps between the skills needed for effective job performance and the skills currently held, and considering gaps in employees' interests and personal developmental goals. Training needs analysis can help identify skills or competencies in which employees are least proficient, as well as common training needs and interests. It can be very simple such as listing or selecting the top training needs, asking employees about their training needs, or observing and recording needs. Conversely, it can involve a more complex gap analysis involving multiple types of assessment and complex statistics. Gathering internal data from performance reviews, individual development plans, manager feedback/recommendations, employee feedback, customer feedback, and performance measurements (quality, service, error rates, etc.) can also aid in identifying individual or team training needs. Similarly, 360 feedback tools, succession plans, and talent reviews can be especially helpful in identifying leadership and managerial training needs. Training needs analysis also identifies who needs training. It can identify specific individuals and/or groups or segments of employees that need training. This information is crucial for scheduling training. The larger your organization and the more training needs you have, the more important it will be to prioritize training needs and interests. It generally won’t be possible to meet everyone’s needs and interests regarding training and still stay within your budget. It’s important to develop a system of prioritization for training needs. For example, higher priority training and development may depend on subject matter and business needs and topics with the broadest impact. Lower priority training and development may be specific to one individual's needs with low business impact. A training matrix is helpful in establishing priorities. Making sure that you identify the most critical training priorities that affect the largest segments of your workforce is important. What training needs are the most urgent or imperative? What training needs do current and future leaders have, or are critical for succession planning? What training needs will have the greatest impact on morale, retention, and engagement? The training needs analysis and prioritization of training needs yields the information necessary to make decisions about training and development offerings and select topics on which employees will be trained. At a minimum, however, all organizations should supply essential training relative to new-hire on-boarding, safety, compliance, harassment, systems and tools, supervisory/leadership, as well as sales and customer service. As a general rule, learning objectives should be established for every program developed. Objectives help guide the focus of the content and ensure that it leads employees to attain specific skills or knowledge needed, ensuring that training and development needs are met. They also assist in measuring the results of the program. Depending on what topics you have chosen and the learning objectives, certain delivery formats and tools may be more appropriate than others. The topic and the learning objectives should influence your choice of delivery format and tool. The most important factor to consider when choosing training options is to make sure they match and fit the desired learning needs and objectives. Low to no cost options aren't always the most effective for learning or meeting certain objectives. In fact, moderate and high cost options may be the most beneficial options in some cases, and may actually yield more learning and behavioral change. It's just important to be aware that these options can carry a higher price tag in exchange for their value. It's advisable to have a seasoned instructional designer, trainer, learning and development professional, or individual trained in adult learning design training and development solutions for your organization as they understand how to create a successful program that fits specific learning needs. When creating a staff training or development program or initiative, here are general tips. Identify the goals and learning objectives based on knowledge/skill needs identified. Establish the content that will be covered (leadership skills, communication skills, etc.). Create materials for your initiative/program such as workbooks, power-points, case studies, activities, job aids, etc. Select a time for the learning initiative. Identify how you will evaluate and measure success. Metrics should be tied to the goals and learning objectives and on-the-job performance indicators. Establish the appropriate resources to facilitate training and development including materials, tools, infrastructure, trainers, vendors, and external expertise. Be sure to evaluate training providers based on their expertise/knowledge of the topic, training or teaching experience, and results. Identify what topics can be delivered using staff expertise, and what topics will need to be outsourced. Consider outsourcing training when expertise is lacking, where complex content exists, when there are legal implications, or when teaming, peer learning, and application is helpful. Create a system for tracking and reporting information about training and development such as a learning management system (LMS), HR information system (HRIS), tracking spreadsheet to monitor and track training and development activities, who participated in them, hours spent, cost, etc. Design a manner in which training can be requested and approved. Training and development costs can rack up quickly, but there are many ways to manage these costs more effectively. Find high quality training that produces results and tangible benefits. Poor quality training is a wasted investment. Train people who are most in need of the training. Organizations often try to fill courses with individuals who may not need training, and they derive little benefit from it. Match training needs to appropriate training and development options. High cost training options should only be used if there is no other available option that would produce a similar result. Seek state and federal government workforce development grants to help fund your training. These grants are often available for technical training. Use a train the trainer model for common types of training (such as sales training, new-hire orientation, etc.). Train subject matter experts inside your workplace to deliver training. Once procedures are established, create applicable policies for training and development activities, such as criteria and guidelines for tuition and training reimbursement, how and when training hours will be paid for non-exempt employees, and request and authorization for external training, among the most critical ones. 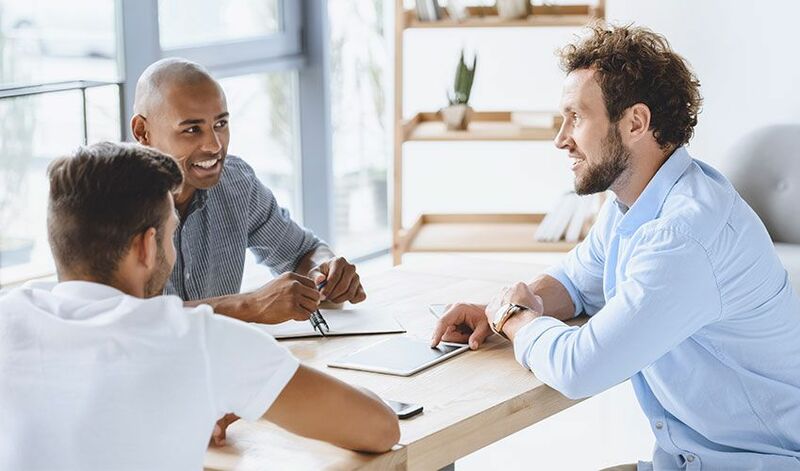 Many organizations also have a policy which states that it encourages employees to develop their capabilities and offer learning and development programs. Some also cite specific eligibility criteria for participating in training and development programs. Training and development programs and initiatives should always be measured and evaluated for their value and impact. Not only does this help establish the credibility and benefit of your function, but it also helps improve offerings over time. Certainly, the simplest and most common method of evaluating training and development initiatives is to collect employees' feedback about each of your training programs. This can be done via a form that rates aspects of the training and collects comments about its effectiveness. Interviews, focus groups, and committee feedback can also be useful in gathering feedback, but can be more time-consuming. Beyond feedback, it’s also important to evaluate the results of your training and development initiatives in terms of knowledge and skills obtained by participants, behavior change, improved performance and/or productivity (or other quality and on-the-job performance measurements), and even return on investment. Establishing specific criteria for measuring training and development is helpful for this. Many organizations tie measurements back to the learning objectives. In addition to evaluation, it’s also important to follow-up with managers, as they have the biggest impact on the success of training and development. Ensure that employees have opportunities to practice their new knowledge and skills on the job, are supported with coaching and feedback by their manager, and are held accountable for integrating their new skills and knowledge. Managers can also work with employees to make sure that they are using what they learned on the job through learning contracts, actions plans, and other methods of establishing accountability for learning. Another trend in follow-up is the concept of blended learning, where learning content is presented in multiple formats and helps reinforce concepts. Providing on-going "byte-sized" learning can also help reinforce what is delivered in training. The following guide has provided an overview of the critical facets of managing training and development in an organization. Offering training and development is critically important as it supports an organization's commitment to employee development and helps ensure that they have a 'leg up" on the competition in terms of skills and competencies. ERC can deliver customized training courses to any organization across the nation.